Tibet’s football players don’t get many opportunities to represent their subjugated territory on the world stage. However because of Conifas hard work in organising a football association for disputed territories, unrecognised nation or displaced minorities they now have the chance to grasp the opportunity to play on the world stage with both hands. Tibet has been occupied by China since 1959 and recently a team from the capital Lhasa made it to the 3rd division of Chinese football. If people from Tibet want to play sports they have to join the Chinese leagues giving them no opportunity to play as Tibet on an international stage. Conifa has this year offered Tibet the chance of joining their version of a World Cup by offering them the wild card route into the competition, which will take place in London from the 31st May – 9th June 2018. With the little issue for Tibet of well the huge distance between Tibet and London the Tibetan football association has decided to start a fundraising page and are asking people to support them. They are asking for funding for visas, flight tickets, accommodation, insurances and all other costs involved with taking a sports team halfway around the world and then staying there to compete in a tournament. The Tibetan football association has helped them out with funding as much as they can, but as they’re not allowed to be in FIFA they’re likely to generate very little income. Even playing international matches as Tibet is highly problematic due to the issues with being under Chinese control and the difficulty it is for foreigners to enter the country. 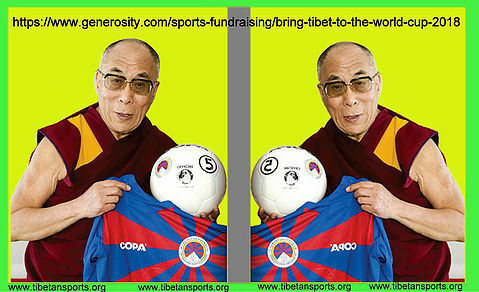 The target Tibet are aiming for is around £70,000 and they’re offering all different kinds of incentives to reach this. 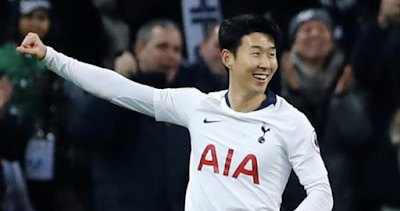 The most expensive sponsorship package – which we think is great if you have that kind of spare money kicking about – costs £28,000 and for this, you get your name or company printed on their kits, VIP packages to the tournament plus extras to be agreed with the football association directly. If you’re not that flush you can still have your company name on their kits, for a mere £17,500 you can then have it printed on the back. For smaller donations, you will also receive all different kinds of Tibetan national team memorabilia, if you can only afford to offer a small helping hand, for a £3.50 donation you’ll be entered into a draw with the chance of winning a Tibetan national team Jersey. No matter how much you can donate, please help to bring Tibet to the Conifa 2018 World Cup because this could be a once in a lifetime opportunity for players and people from these nations.